As the girls are getting older, I am enjoying more and more the opportunities to match their outfits. One way I can see occasions to do this is through matching dresses. Whether for church or a party, matching dresses are adorable and very cute, and if budget will ever permit, there are some fantastic styles in girls’ designer dresses. Ruffles, embroideries, opulent fabric and colourful prints — are all stunning for little girls! All of this got me thinking: with such a beautiful and timeless investment of a kids designer dress, how could I be sure to make the best out of these beautiful girls’ dresses? In this post I’d like to present you some tips and tricks on curating your girl’s wardrobe around a statement designer piece. More often than not in the world of fashion, what goes for adults also goes for children. 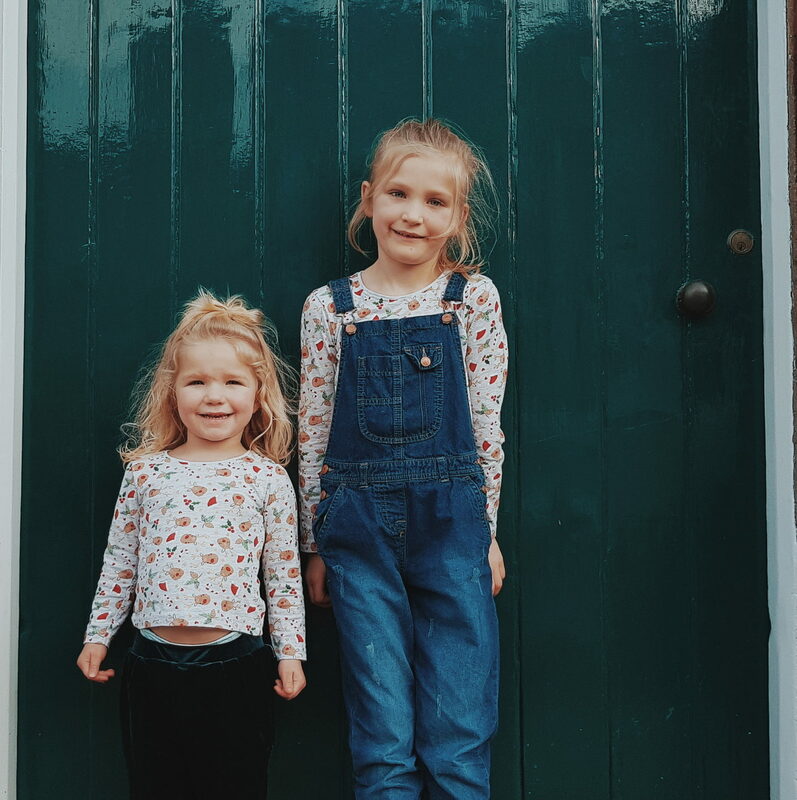 And when it comes to curating the perfect wardrobe around a statement piece for your daughter, I am a firm believer that adopting the capsule wardrobe strategy is a great idea. If you are not familiar with the term, a capsule wardrobe is a minimal collection consisting of around 40 or fewer items that all match with one another. A capsule wardrobe is all about having fewer pieces but endless combinations (which in the long run saves time and money)! Most items should be neutral, with a few pops of colour, and at least one statement piece!. This gives the look some personality and joyfulness. My top tip on curating a capsule wardrobe economically is to first and foremost use what is already there. This isn’t about throwing everything away and starting afresh – Quite the opposite, really! Take time to see what fits and will continue to do so for a while, ask your daughters what they love, and start from there. You’ll be surprised at how much de-cluttering and adding in a few new basics will give a breath of fresh air to any wardrobe. Clean things up and pick a few new items wisely! The sales are good time to start this. Now that you’ve set the foundation of your girl’s closet with a few basics, it’s time to pick a statement piece that pops and wows, and leaves them feeling like a princess each time they wear it! And this is where things really do get exciting for the girls. While it’s true that we’re always looking forward to special events and occasions to dazzle everyone in their beautiful girls’ designer dresses, what they love more than anything is to be able to continue wearing their favourite dresses any other day of the year too. For this, all you need are a few strategic pieces. A chunky neutral knit, a pair of cotton tights and some Wellies can work wonders to transform a special occasion dress into a fun daytime outfit. The fashion trendsetters have said it all along: to tone down any glitzy special occasion wear and make it into a daytime classic, pair it with some casual, down-to-earth pieces. A woolly jumper; some chunky boots; a denim jacket — the contrast is fun and surprising. Don’t forget to let your kid be engaged in the creative process of getting dressed, too! That’s all part of the fun with styling kids. Setting a colour palette around your girl’s party dress will make your life so much easier and ensure the dress can be worn time and time again. If the clothes follow a matching colour palette, combining the pieces will be a breeze. This also makes getting dressed in the morning easy and foolproof, especially when they’re left unsupervised. Generally speaking, neutrals are your best friend for maximum compatibility, but, chances are, your party dress will have a dominant colour. When it comes to this, you may decide to follow the latest trends or you may let your daughter make her own choices. This is entirely up to you. Whatever the case, pick a second complementary colour that matches the dress closely and let everything else be fairly neutral. If you worry your colour palette is too neutral or boring (or not you/them), jazz things up with a few accessories, such as a flower hair tie, a cute brooch, some textured fabric like velvet or wool, or some patterns and prints. Pick a few little extras that suit your daughter’s personality and that will bring life to her everyday outfit. Dressing girls is so much fun and I would love one day for them to have some proper fancy dresses for parties, weddings and church! *This is a collaborative post and I have been compensated for sharing it.